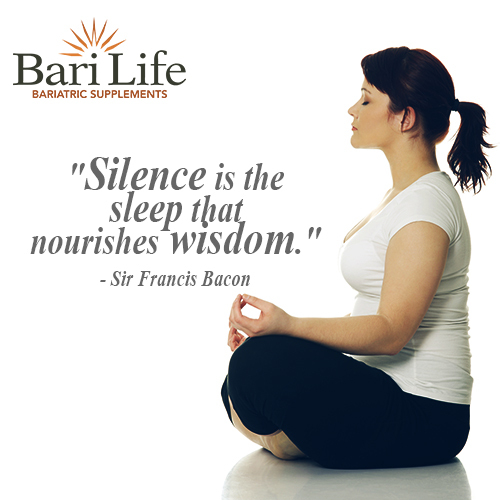 Bari Life Bariatric Vitamins and Supplements knows that sleep plays a vital role in maintaining good health. Post weight loss surgery, not only do you need to develop a habit of taking daily bariatric vitamins and supplements, you also need to develop healthy sleep habits. You feel hungry even if you are full. Lack of sleep appears to alter the secretion of cortisol, a hormone that regulates appetite. As a result, if you fail to get a good night’s sleep, you may continue to feel hungry despite following your daily diet. You may be at higher risk for developing diabetes. Lack of sleep interferes with your body’s ability to metabolize carbohydrates, which could lead to high levels of blood sugar, prompting the overproduction of insulin. Take a hot bath or shower – You get sleepy as your body temperature drops. Take a hot bath or shower right before bed and then lie down and let your body temperature get low. Black it out – Even the smallest amount of light can disturb your sleep. Make sure all lights are off, turn your glowing alarm clock away from sight and turn out the hall light. If you work third shift and sleep during the day, consider purchasing blackout shades for your windows and consider donning a sleep mask to help keep out the light. Shut it out – The world continues to turn as you sleep. It may be quiet in your house, but outside may be a different story. Turn on a fan or even purchase a machine that produces white noise or nature sounds to help block the intrusive sounds outside your home. Bari Life Bariatric Vitamins and Supplements knows getting a good night’s sleep plays an important role in weight loss. Along with taking your bariatric vitamins and supplements, getting enough exercise and sleep will help you achieve your weight loss goals. And remember, getting a good night’s sleep is followed by eating a healthy breakfast – the most important meal of the day!